In recent years London’s housing market has seen escalating neoliberalisation, as housing has become increasingly considered in terms of its “exchange value” rather than its use value as a home. Property is increasingly considered to be a financial investment rather than a place to live, leading to vast swathes of property left vacant. This has contributed to the reinvigoration of the London squatting movement, which had faced a significant downturn after squatting in residential buildings was criminalised in 2012. However, the spring and summer of 2015 saw an unprecedented wave of occupations of estates sweep across London in open defiance of the squatting ban and as a powerful force of resistance to the wholesale destruction of council estates across the city. Beginning with the Focus E15 Mothers who occupied the disused Carpenters estate in Stratford in winter 2014, occupation has been increasingly used as a strategy against the housing crisis. 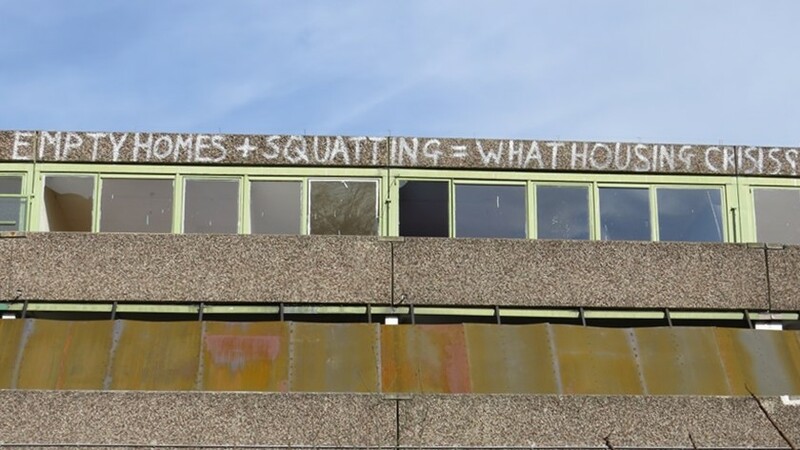 However, the relationship between squatting and occupation is also contentious, as many of those who use occupation as a strategy, including Focus E15, do not use the language of squatting or identify as squatters, whereas others embrace the use of the occupation as a place to live alongside its political resonance as a statement of resistance. 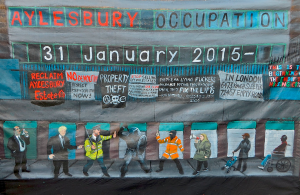 The Aylesbury Occupation of 2015 was a landmark in the housing struggle, by explicitly stating that it supported the residents and the squatters. By recognising the validity and interconnectedness of these different issues they help to empower residents of all description to unite against a system designed to isolate, offering a vision of hope and solidarity to the seemingly insurmountable challenge of the neoliberalisation of urban space. Further, they are one of very few broadbase housing struggles that explicitly include squatters within their solidarity framework. Many shy away from open inclusion of squatters due to attempted claims to legitimacy from the perspective of institutional frameworks, or misguided views that their rights to hold the spaces they occupy are less legitimate than that of evicted tenants. This acknowledgement demonstrates the truly radical nature of their network, unlike other groups which use the rhetoric of the right to the city or reclaiming space, but for only those with a preconceived “right” to that specific building in the form of property. By including squatters they are explicitly challenging the premise of property rights, and acknowledging the reclaiming of public space for all. 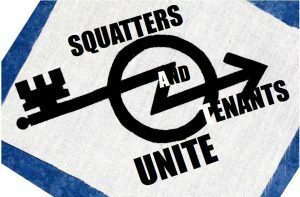 By including squatters, they also open up possibilities for the other groups operating under their framework. Occupation is used as a strategy by many housing campaigns and few activists know more about the legal and practical requirements of opening and holding buildings against hostile property developers, landlords, or bailiffs than squatters. Indeed, many of the campaigns under the RHN umbrella have reached out to squatters to help them with locks, bars, and police aggression. This creates a space for a multiplicity of struggles to unite and share skills, food, and mutual aid in embracing a truly universal right to the city.